a stranger, to make a friend, to experience an exotic landscape, to risk the unknown." Jim and I sure have the travel bug. Our wanderlust hasn't lessened since we began extended travel in an RV in early 2004 when Jim retired. In fact, our desire to see and experience things that are new to us on the North American continent has increased in the last eleven years. 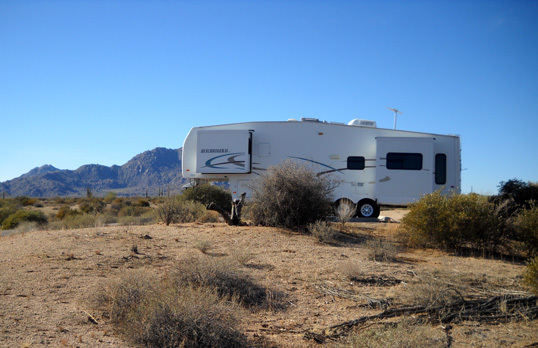 Now in our mid-60s and traveling full-time in our comfortable 36-foot 2010 Carriage Cameo 5th-wheel coach, we anticipate enjoying this nomadic lifestyle for many years to come. our rolling residence, has three slide-outs for lots of interior room. We tow the fiver with a 2008 diesel Dodge Ram 2500. Jim has made several modifications to both the truck and the Cameo over the years to make towing more efficient and smooth. When we sold our house last year we kept our 2002 Honda Odyssey minivan because it's more convenient and less expensive to drive than the truck when we are staying somewhere for several weeks or months. 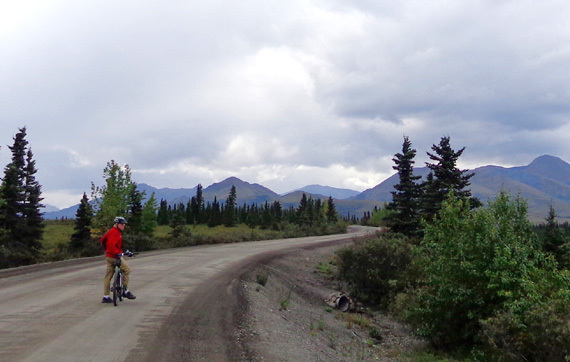 In transit from one campground to another, Jim sets the pace with the truck and Cameo; I follow behind in the van. When we drive a very long distance, such as to the Canadian Maritimes or Alaska, we store the van at a military base in the Lower 48 to save wear and tear on it. The van and truck had 120,000-125,000 miles on them at the beginning of the year. 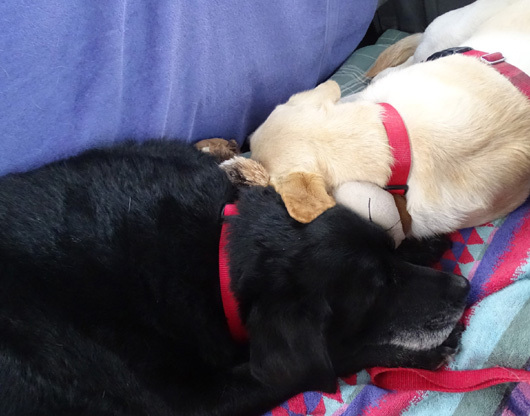 We have two Labrador retrievers that love this lifestyle as much as we do. They are always eager to head out the door for a ride, run, hike, swim, or other adventure. 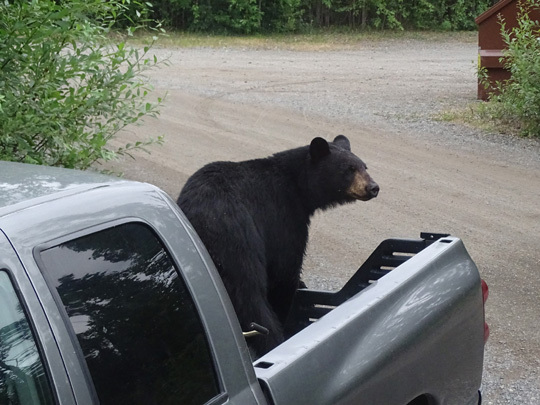 They have adapted well to day-long drives to new campgrounds and living in a tiny house. They are happy to be with us, no matter where we are or what we're doing. No wonder Labs have been the number one dog breed in the U.S. for the last 24-25 years! Cody, our shiny black Lab, will be twelve in March. He's been with us since before we began this website. Although he's aging he has the same sense of adventure that he's had all his life -- just like Jim and me! All three of us have had to modify our activities as we've gotten older, but we still love an active life. Cody's still able to hike for a few hours at a time with me. At two years of age, Casey, a cuddly little yellow Lab, is still very much a puppy, full of life, love, and energy. Almost everyone who sees her comments on how "happy" she is -- her tail wags her whole body when she sees another dog or person. 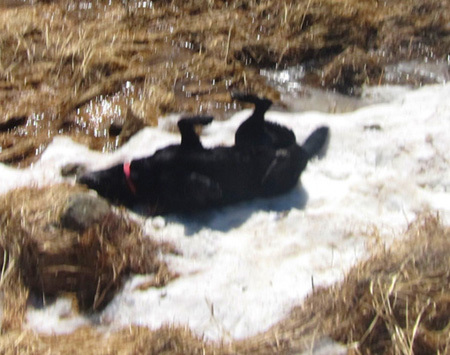 It's hard for me to wear Casey out just hiking, even for several hours, so Jim plays ball with her almost daily with a Super Chuck-It to launch tennis balls for her to chase -- seemingly endlessly. 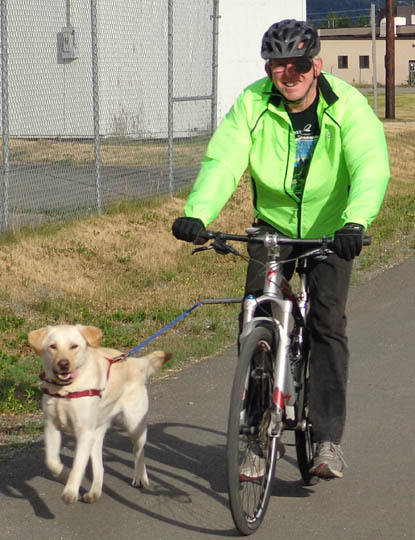 He also runs her slowly on his bike with a handy gadget called a "Walky Dog," shown in the picture above. Back in January, 2004 when Jim retired we were already experienced RVers. When we were still working, however, our trips were limited to two or three weeks at a time. 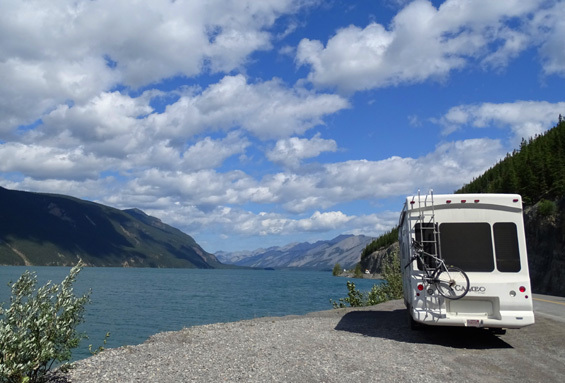 Suddenly we had unlimited time to travel -- but we didn't know any retirees who traveled full-time in an RV. That option didn't even occur to us. We knew we wanted to sell our house in Montana to escape winter weather. We also knew we wanted to travel with our 32-foot HitchHiker 5th-wheel coach for longer periods of time. Our mistake was assuming we needed a home base from which to explore the country in our camper. Our HitchHiker in Arizona: small house, big yard! What's ironic in hindsight is that after we sold the house in Montana we were actually full-timing in our RV for five months without realizing how much freedom we'd have if we just kept traveling! Instead, our focus was on finding another place to buy where the climate was more moderate. 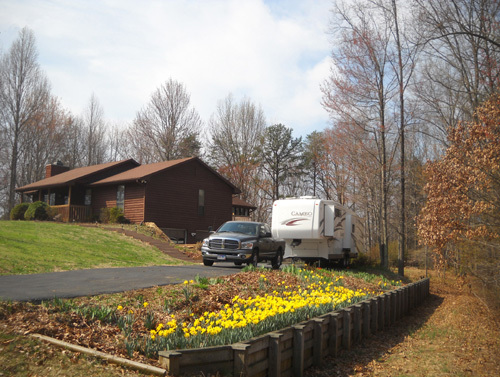 We purchased a beautiful house and 12 acres of land in the Roanoke-Smith Mountain Lake area of southwestern Virginia. We had visions of living there until we could no longer care for ourselves, and traveling in our camper around the country to attend trail running events, explore new places, and visit friends and relatives. Soon, however, we were gone on extended RV trips for three or four months at a time, usually out West somewhere far away from Virginia. The idyllic rural life we envisioned became a burden, more work than retreat. There were always weeds to pull, leaves to rake, repairs and maintenance to do. We drove back to the house every spring and fall to do all that, then left again for summer trips to cool places in the Rockies and winter trips to warmer climes in the South or Southwest. 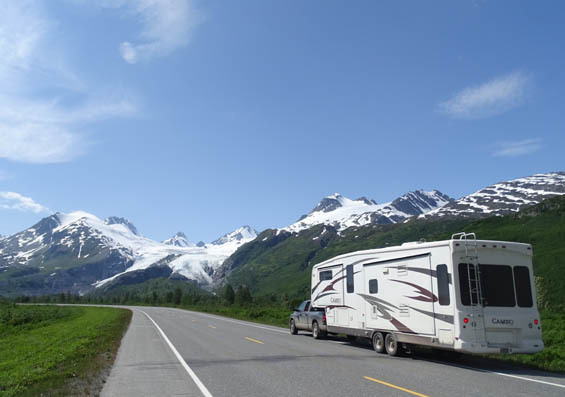 By 2008 we had discovered that about a million adventurous retirees, as well as younger working-age people, live and travel full-time in their RVs, with no home base to limit their freedom to roam. That idea was very appealing to us. Unfortunately, that's also when the housing market crashed. Although we wanted to sell our property we didn't want to take a financial beating. For all of our lives, home ownership had meant steadily increasing housing values, an investment for the future. The Great Recession changed all that for quite a few years. We contacted real estate agents every spring to see what the sales "comps" were in our rural area. Even though we were never "under water" like so many people, we simply didn't want to lose any equity. That money was part of our retirement plan. In hindsight, buying the place was our fist mistake. Not selling it in 2008 or 2009 was our second mistake. We did sell it last year when the market value increased enough but considering all the maintenance and improvement costs over the ten years we owned the property, we still ended up with a net loss of what we considered an investment as much as a place to live. In addition, we worried a lot and wasted considerable time when we could have been traveling. Based on that summary you've probably already surmised that we have no regrets about selling our house and finally achieving our goal of traveling full-time in our RV! The more we travel, the more full-time RVers of every age we meet. In the last year or two, as more and more Baby Boomers are retiring and the economy has improved, RV sales have increased significantly. The full-time lifestyle isn't exactly mainstream yet but more people are aware of it now and are adventurous enough to take the plunge. We are part of a wave of folks with wanderlust who aren't "homeless," just house-free. "Home" is wherever our camper is sitting. It's very liberating. Jim and I have no idea how long we'll continue to live and travel full time in an RV. It could be another year, or even ten or twenty. There are a lot of variables to consider. I think we'll both know when it's time to come off the road full time. ELEVEN YEARS AND COUNTING . . . I can't believe this is the eleventh year of our website. 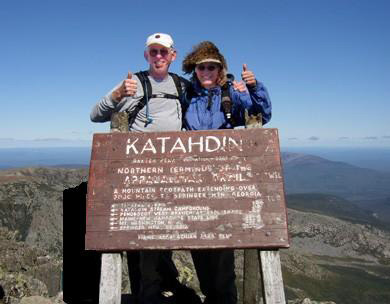 We started it in 2005 when we did the Appalachian Trail Adventure Run-Hike. Keeping the journal was so much fun, and we had such a great response, that I just kept it going each year. I (Sue) do almost all the writing and photography. Jim is the computer guru that set up the website and maintains the bones of it. Occasionally I can get Jim to take a few photos or post an entry about camper modifications, such as the solar installation several years ago, but it's mostly my hobby. And since it's just a hobby and we stay busy exploring our fascinating world, I often get behind on uploading new entries -- seriously behind. I date entries in chronological order on the topics pages but they are often written months later. For example, I'm writing this introduction in early July on a rainy day in Alaska. That's why there are photos from the first six months of the year in this entry. I'm "behind" because I write too much and I take too many picture that take time to edit. I do keep up with a daily journal on my computer so I can go back and use parts of it in website entries. We began the website to chronicle our A.T. Adventure Run-Hike. Subsequent years focused on our ultra-distance running races, trail runs, and RV travels. You can read all about it, or just look at the pictures, in the previous ten web journals. Jim has morphed into endurance cycling on his Specialized Stump Jumper 29er mountain bike. 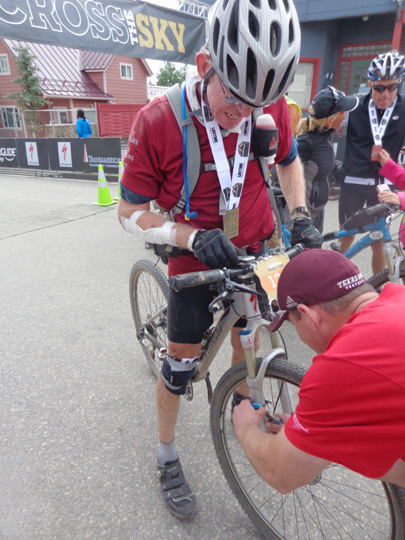 He enjoys doing long rides on his own, like the 108-mile Michelson Trail in South Dakota, and participating in occasional long trail events, gravel grinders, and road races. Despite severe osteoarthritis in both knees I can still hike all day. It just takes longer to cover the miles than when I could run. My favorite trails are in mountains where I can climb above treeline and get panoramic views of the scenery in all directions. Between the two of us we have only one good knee. We're looking at three knee replacements eventually, when Orthovisc or similar injections no longer provide the cushioning we need to function. We do not use any type of social media besides this website, e-mail, and internet forums. We aren't on Facebook, e.g., and we don't read the postings of friends or family members there or on Twitter. We just don't have the time or internet capacity. Heck, we don't even have smart phones (yet). Our camping style has morphed a bit since we began full-timing last year. I wrote more extensively about this in the October 18, 2014 entry. We are beginning to stay a little longer in some places and prefer full hook-ups to boondocking. Without house costs we have more discretionary income for nicer campsites now. 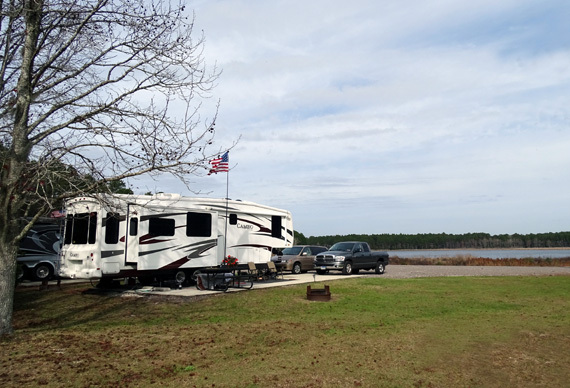 Because Jim is a military retiree we often stay at military campgrounds around the country. They cost less than most private campgrounds for comparable amenities and usually have more spacious sites. We also have a common interest with other RVers and we feel more secure there -- "gated communities with armed guards," as Jim jokes -- although military bases could be prime targets for our enemies. 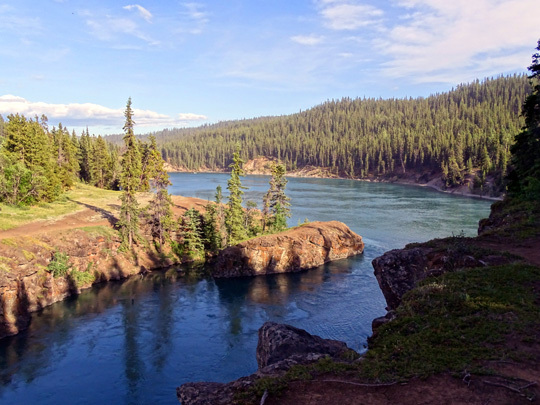 We also like local, state, and national parks, national forests, BLM land, and recreational areas when we can find sites that are large enough for our rig. 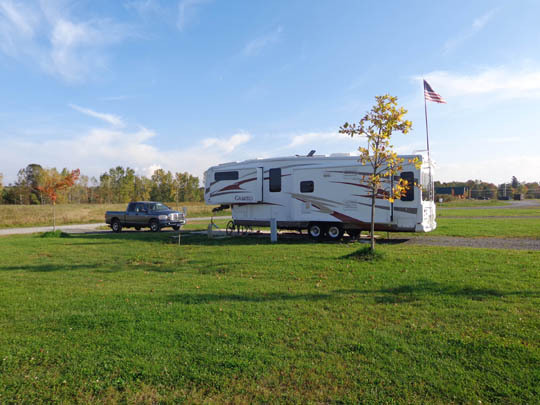 The advantage of a 36-foot fifth-wheel is having plenty of room for us and the dogs inside. 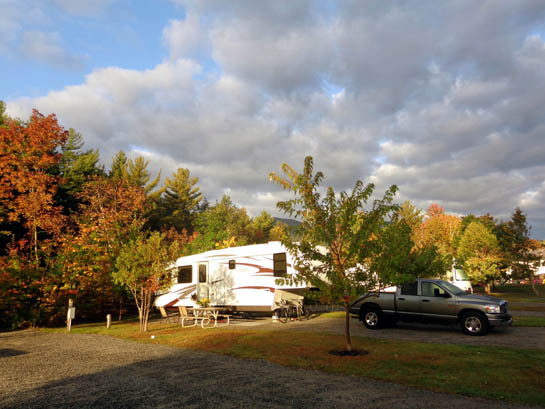 The disadvantage is that the larger the RV, the fewer sites are available to accommodate it. Most public campgrounds were designed decades ago when RVs weren't as large as they are now. We like to use a variety of campgrounds (more rustic) and RV parks (more formal), depending on their location and how long we'll be there. We aren't interested in fancy RV "resorts" with amenities and activities we don't use. We're flexible. If a site doesn't have electricity, we can use our solar panels and generator. If it doesn't have a water hookup, Jim has an easy way to refill our tank. Not having a sewer is more limiting because we hate to move the camper to dump and we don't use a Blue Boy. We do like good internet connections, either free WiFi or the ability to use our private MiFi. We're on our computers a lot when we're inside. OUR TRAVEL PLANS FOR THIS YEAR, AKA "YOU CAN DO THAT!" I've always been vague here about our travel plans, not for reasons of privacy but because we so often modify them! They're like Jello -- or even more fluid than that. We are just as likely to change our grand plan for an entire season in a particular place as we are to change our short term plans from one day to the next. Several years ago my brother expressed surprise during a phone call that we were in one place rather than another. I laughed and he quickly came back with, "Of course, you can do that!" Now he usually prefaces our conversations with "Where are you?" If it's somewhere different than he expected he jokes, "You can do that!" 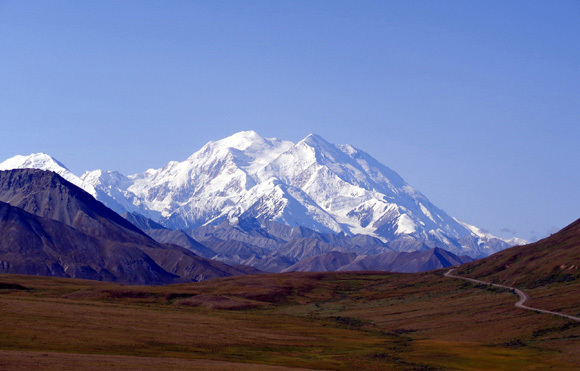 In 2014, e.g., we thought we'd be going back to Alaska for the summer. By February of that year we decided we were going to sell our house in Virginia, pretty much regardless of the price we could get. 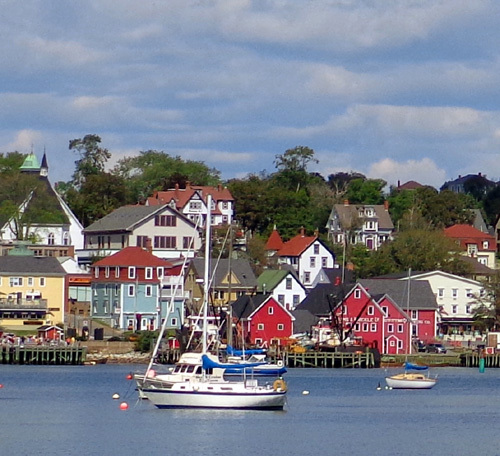 We didn't close on it until the end of June, so instead of heading to Alaska for an abbreviated trip that wouldn't be cost-effective we chose instead to explore New England and the Canadian Maritimes because they were closer (and far enough north to avoid the summer heat). 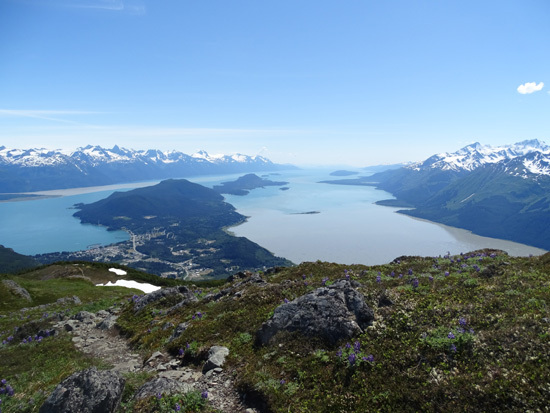 This year we are free to spend the entire summer in Alaska. That's the current plan, at least. We cam be even more fluid than we were previously since we don't have a house to look after. Our travel MO (modus operandi) since we retired in 2004 has been to spend our summers in cool places and our winters in warm places. I call it the "Dandelion Time Warp" or eternal springtime because dandelions seem to be blooming everywhere we go. We don't like temperature extremes and after living in Illinois and Montana for most of his life, Jim is a real snow-phobe. We had several unusual storms while we were there with pea-size hail that did no damage to our vehicles but piled up several inches on the ground before melting. 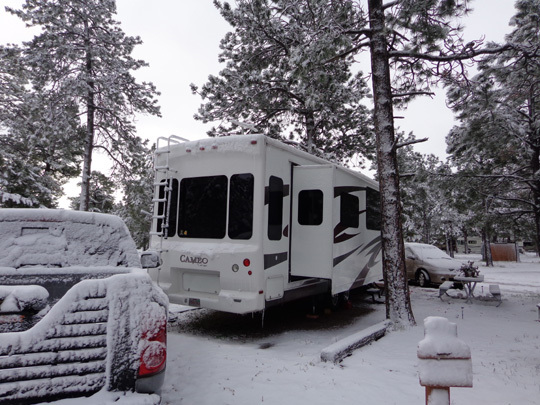 It was a much colder May than usual in the area, especially at the 6,700-foot elevation of our campground. Ironically, at the same time in May temperatures were well above average in much of Alaska. On one or two days in mid-June it was warmer in Anchorage than Los Angeles, a rare phenomenon. We love to spend our summers in the mountains of the western USA or Canada. 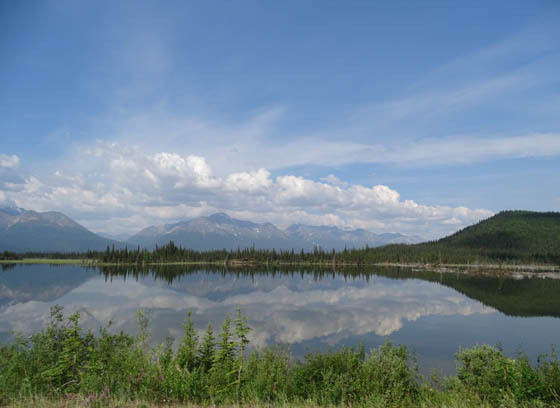 You can readily see that preference in our previous annual journals, with all the photos of the Rockies and other ranges in Alaska, Colorado, Wyoming, Idaho, Montana, South Dakota, New Mexico, and Arizona. We camp low enough to (usually!) avoid snow at our campsites but we can drive to see it or I can hike high enough to tromp thought it -- I'm not a snow-phobe, and the dogs love it. 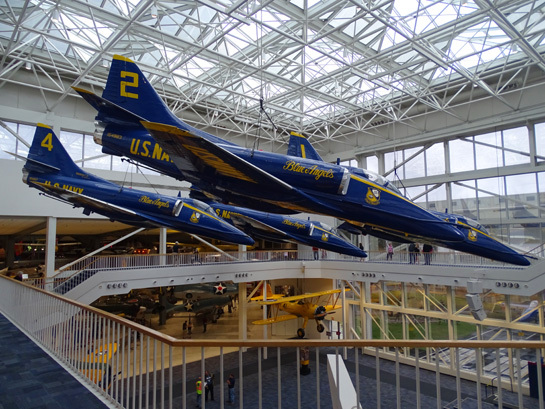 Our destinations include a mix of places that are new to us and places we've enjoyed in the past. We prefer mountainous terrain in the summer and either desert or coastal terrain in the winter. Although weather is a big consideration in our destination decisions, we also plan our itinerary on cycling events Jim wants to do, visiting family and friends, following our Muses, and other factors. Until three years ago we spent our winters in southern Texas and southwestern desert areas. 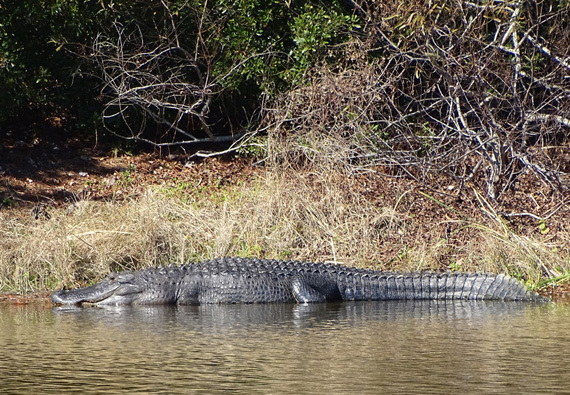 Then we decided to try snow-birding in the Southeast for a change -- Charleston, Savannah, and northern Florida. This is our third winter season at Kings Bay Submarine Base in St. Mary's, GA, just north of Jacksonville, FL. 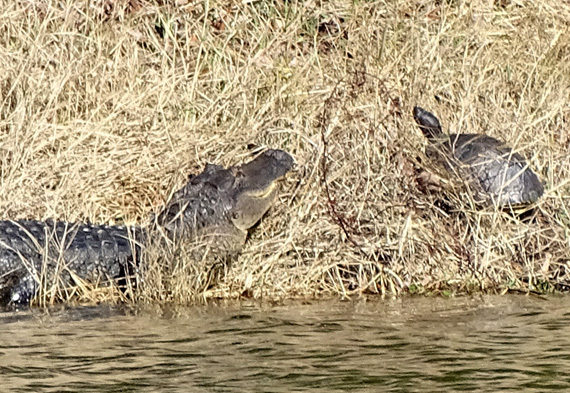 Sometime in March we'll begin heading west along the Gulf Coast to Texas, then north to Alaska as the weather warms up. We're thinking about spending the next winter season somewhere in the Southwest again. It may be a while before we travel East again. Of course, all this could change! If you want to know where we are, just look at the 2015 topics page periodically. If you have questions or comments, e-mail us at the contact link. We usually have an internet connection, but not always.